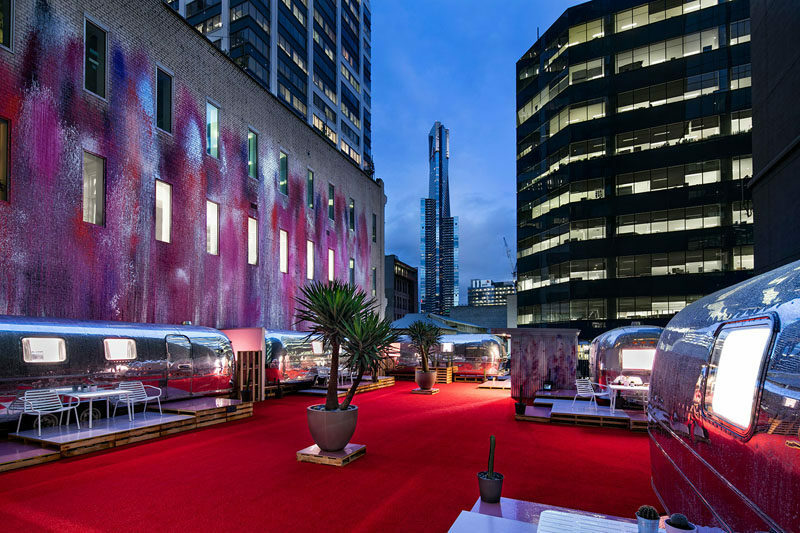 Created out of a need to fill the space at an urban rooftop car park, James Fry came up with Notel, a unique boutique hotel made of six vintage Airstreams in an up and coming part of Melbourne, Australia. 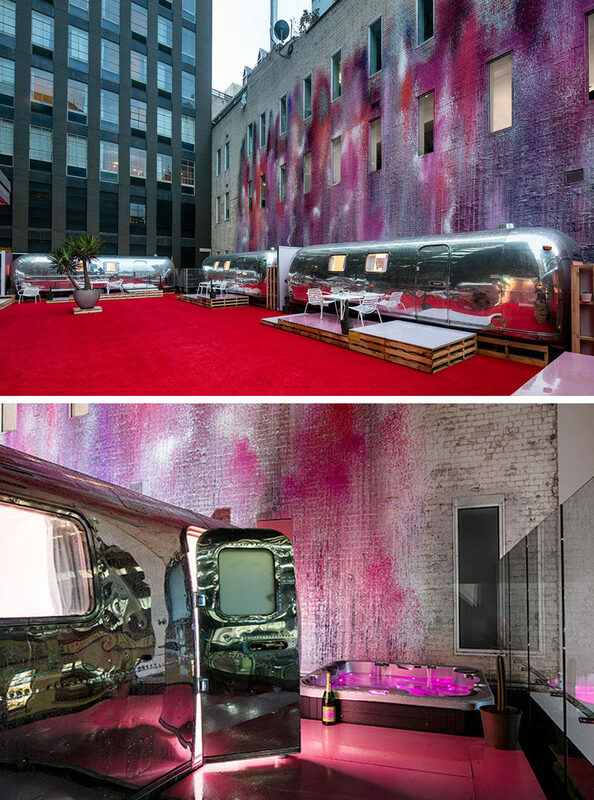 Each Airstream was gutted and redesigned by Edwards Moore Architects, FMSA Architecture and artist Ash Keating. Keating was also responsible for the painted wall behind the trailers. 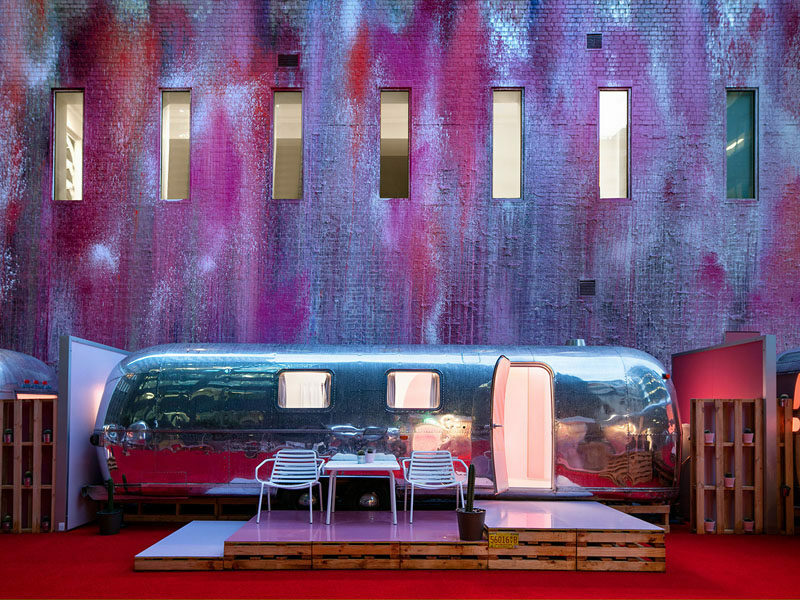 He used pressurized fire extinguishers full of paint to create the massive installation in colors that compliment those used throughout the interiors of the air streams. 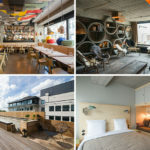 In an effort to encourage guests to spend time in the city rather than in their rooms, the hotel isn’t staffed, has no dining facilities, gym, or hotel reception. How do you get into your trailer if there’s no check-in staff? 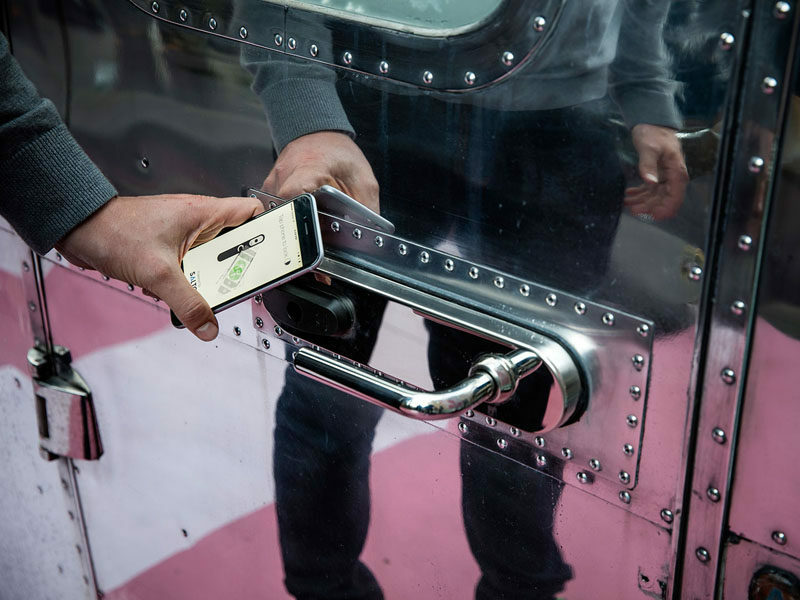 Thanks to the wonders of modern technology your smartphone unlocks the trailer upon your arrival, so only you can get in during your stay. Inside, there’s a fully stocked iPad complete with Netflix and a virtual city guide so you can plan your adventures and make reservations if necessary. 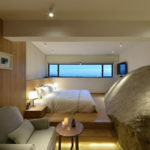 You’ll also find a queen sized bed, an ensuite bathroom with a full size (pink) shower, and mini bar stocked with local craft beers, snacks, and water.